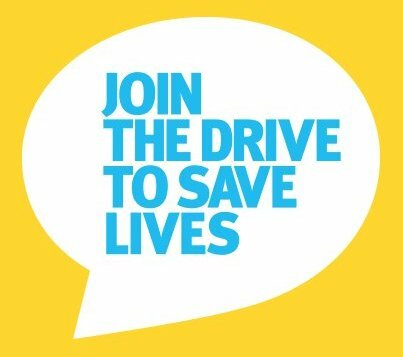 Join the Drive to Save Lives is a unique road safety initiative. It’s about people coming together to make a real difference. There’s always been a genuine desire in the community to get involved. Now you can. • Create a safer in-car behaviour – a simple change can have a dramatic effect on your in-car behaviours. • Buy the safest car you can afford – the handy guide will help you find the safest used cars for your budget. • Get your road safety idea funded – you can make a real difference by applying for a share in $50K to make your road safety idea a reality. You can also have your say on road safety and help spread the word. Join the community on Facebook, or make a difference in your local community by applying for one of the road safety grants. The Safer Roads, Safer Queensland: Queensland’s Road Safety Action Plan 2015-17, has committed to a vision of zero road deaths and serious injuries. This ambitious vision will only be possible if everyone in our community plays their part. We cannot do this alone – it is only by working together that we can reduce the burden of road trauma on our communities.